Way back in college, my friends and I would dream on and chatter about what we want to be when we finally graduate and then be able to make decisions of our own and live our lives in the real world. We would hear each other out. Gently nodding at every remark said, whispered funny anecdotes of each other, and sighed with amazement or even dismay with each word that we utter. Then came my turn to share my dreams for the future. I grinned with excitement and talked about my quest of being a self-made woman, a successful entrepreneur someday. I went on with my dream house, car, and traveling all over the world. I wanted to be a worldly woman and someone who is attuned to what humanity needs. I was a bit of paradoxical. They laughed when I told them I badly want a bath tub where I could pamper myself all day and even at night time. I love the waters. I believe that bathing is a sublime ritual of cleansing both body and spirit. And no ritual is ever complete without soap and the foamy scent that makes me go insanely crazy yet relaxed at the same time. 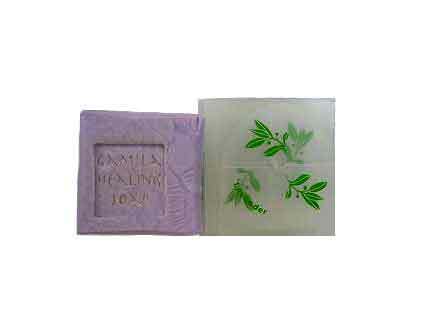 Soap-making as well as other home-based businesses of creating and customizing your own pieces are very much in demand today. With less capital and discipline, voila!, you can enjoy life at home with your family while earning by having a business of your own. This is definitely a booming industry. Most of those who partake on this are housewives, young professionals, creative teens, retirees, and basically anyone who has passion for soaps and the suds that comes with this endeavour. The basics of making soap are really simple. First, you have to make up your mind on what concept for soaps you want to accomplish. Educate yourself on what works for you. Always reveal your personality in your creation. Check out local or international suppliers for the most reasonably priced items. Prepare your ingredients and necessary materials. Melt the soap strips, add your essential fragrance oils, mix thoroughly, add colorants to create character to your soap, and pour the soap mixture into prepared soap moulds. When the mixture hardens up into soap, do the packaging and labeling, making it ready for selling or distribution. Magic comes from every bubble. Soap is very simple to create yet lingers in memories. Soaps last even when it melts down. The scent lingers on.